Vitamix Giveaway from Pure Prescriptions! Disclaimer: I was paid to write this post and have an affiliate partnership with this sponsor. However, I only write posts about products I truly believe in. I’m so excited about this month’s giveaway. Wow! Who doesn’t want a Vitamix? I can enter my own giveaways, right? No? Dang. We’re having an awesome giveaway for new mamas who want to keep their baby’s bum covered in natural cloth. 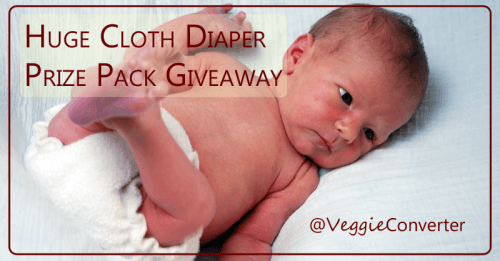 Check out this amazing cloth diaper giveaway with a huge bundle of amazing natural baby diapering products! 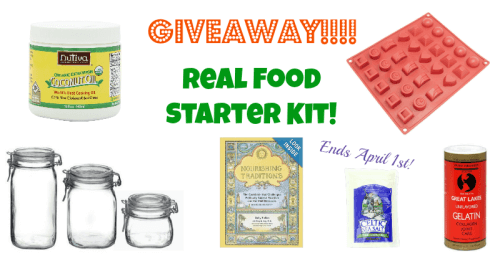 March Giveaway: Real Food Starter Kit! 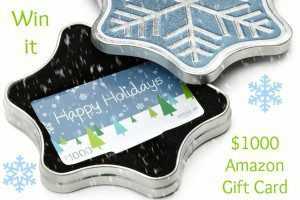 February Giveaway: $400 Gift Card! 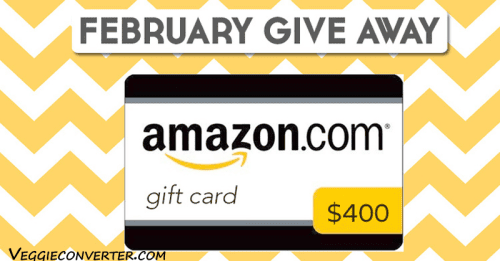 It’s another month, so it’s time for another giveaway, this time it’s a $400 Amazon Gift Card! Good luck to all of you! Friday the 13th is my birthday, and I’m giving YOU the presents. 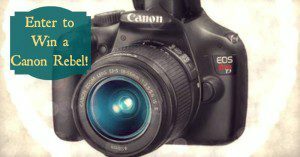 I’ve collected a lot of blog schwag over the past several years and my kitchen is OVERFLOWING with appliances, kitchen gear and such. 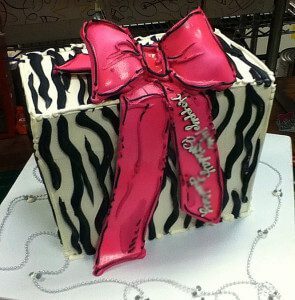 I can’t believe it’s been 3 years since we started this blog journey (November 2010 was our start date). GIVEAWAY: Thanksgiving Farberware Pans Set! We polled our readers and the winning prize is the Farberware Millennium Stainless Steel Pan set! So enter now for a chance to win! You chose wisely my friends. This set is amazing! 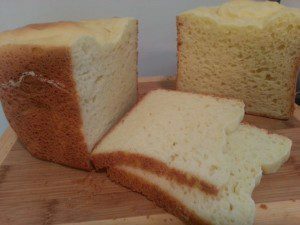 It’s a King Arthur Flour gluten-free prize pack giveaway and review! Contest ends at 1 a.m. EST Monday, October 14.